It's a very good video but it's not as detailed as I would need. I can only follow it until minute 1 and then I'm totally lost. I've tried this 6 or 7 times and I can never continue after minute 1. I'm really frustrated because I want to gift this model to a very special friend who loves the movie and their characters and I can't find the way to finish the model. Any help would be very very appreciated! Unfortunately, after more than 2 years since I posted this I haven't been able to fold this model despite I've tried it millions of times. It's a good help but I can't advance too much with the model. Anyone has been able to fold this model and has a video, advise, tip or anything that could help me? I tried folding this a year ago. You should start by folding the CP without all the sinks, then make the creases and sink. One mistake that I made that you should be wary of is that the points on the inside are used to define the windows. I'll try to give it a go some time this month. I haven't tried this yet but the russian page you found will help you a lot. Whoever wrote it provided refrence points, and from there it's just connect the dots and sinking. I'm definitely going to give this a try soon! Thank you for your advises. Yes, the Russian page is a really good source, it helped me a lot with this model, but despite it I unfortunately struggled. - I guess lines from 1 to 10 in PreFoldCP are the ones I’ve marked from 1 to 10 in X-ray image. is this right? - If I’m right I can not see why in the PreFoldCP the lines 1-5 and 6-10 occupies all the width but in the x-ray model they only occupy a half of the model. How? 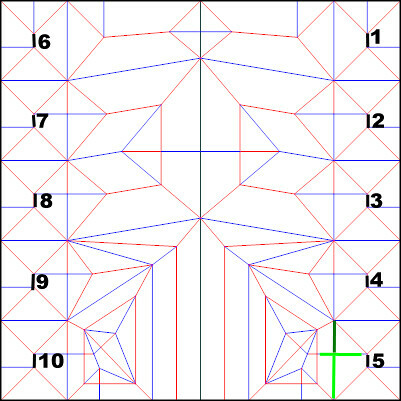 - I have no idea of how to fold the green lines in each “square” 1 to 10. The light green lines are folded out and the dark green is folded in. I’ve tried and tried and I don’t know how to fold this. I hope one of these years I can fold this model . the green lines will end up folded like a napkin, sort of. You do the horizontal crease first and do the vertical one without unfolding the horizontal crease. Most of the times I use a square from a DIN A4 (21cmx21cm), I know it's small, but this way I can test easily. Sometimes I've used a square of 42cmx42cm with better results, but it's more difficult to me to prepare the CP in this size. Did you try to fold this model? Any success? - Should I fold the model directly from the CP to the final model? Or should I try to fold the model from the CP to the X-Ray model first? I guess that the X-Ray way is the correct way. - I'm pretty sure that I'm wrong interpreting the X-Ray model. I'm sure that the 1 to 10 points in the X-Ray model are not the ones I've marked in the CP. Wonton if you search Nekobus by Brian Chan flickr there are around 13 folders with helpful photos.. I just folded this model with some degree of success. I started from the x-ray model and brought it to the actual CP by sinking each part in and out to match the CP. You are interpreting the x-ray model correctly! The photo you attached does not correspond directly to the CP you attached; the folder already did the reverse folds at the bottom of the CP. If you have any other questions, feel free to PM me at my reddit account because I don't check the forum that much. I suppose these are open questions? 1) The lines 1-10 in the CP you've marked do in fact correspond to the markings in the folded X-ray base, at least if you consider the CP as the "white side". Otherwise they are mirrored at the middle line. 3) This structure means (as NeverCeaseToCrease already explained) that the point you get a bit over 5 is folded down along the light green horizontal line and then folded vertically together, what naturally results in a mountain/valley fold. 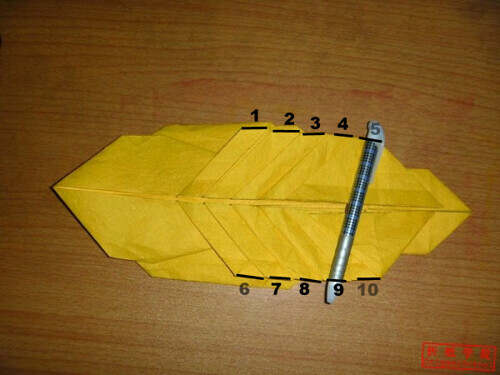 4) I recommend you to fold the X-ray base first to understand the basic structure, then do all the sinks from the more detailed CP, and in the end fold the final model. But seriously, I don't know how one folds a final model directly from a CP without having the base first... Or did you mean the more complex base from the CP in step 3? 5) noneuclidean is right, there are two reverse folds in the folded base which do not occur in the easier CP, which may be confusing in the photo. However, this is the only difference that I see. I hope I could help with my suggestions. By the way, I never folded that model, so all my ideas were adapted from looking at the CP. It's possible that I am mistaken in some points, but I'm pretty sure I'm not. Anyway, I hope this helps and you can finally finish this! First of all sorry for not answering before, I've been very busy! And of course thank you very much for all of your suggestions! I've tried this model one more time without success and I must confess that I've had problems understanding all the suggestions (maybe because English is not my mother tongue and maybe because this is a very visual issue). I'm afraid I'll struggle with this, at least, until someone upload a step by step video. Anyway I am thinking that I have a basic error, that I am not focusing the problem correctly and that is why I am not able to fold the model. So, if you don't mind I'm telling you how I make this. Maybe there is a better procedure. 1. I print the detailed CP (the one called NekobusCP) in a DinA4 square. I know that it's not the best size but it's easier for me and I can print lots of CPs for more tests. 2. 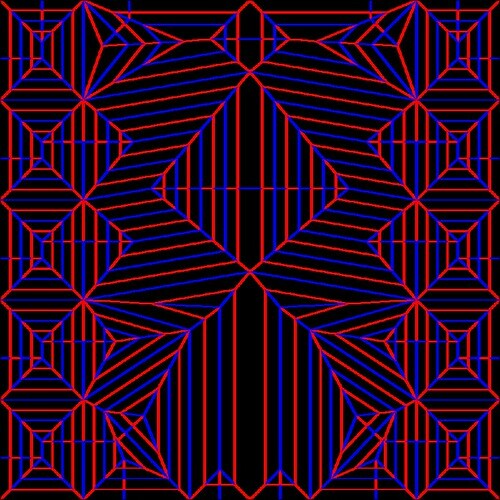 I fold each line in that CP taking into account if it's red or blue. 3. 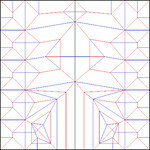 (option 1) Once each line has been folded, sometimes I've tried to fold that using the Youtube video, but it misses some steps. 3. (option 2) Other times I've tried to "push" the model from the corners to have something similar to the final model. 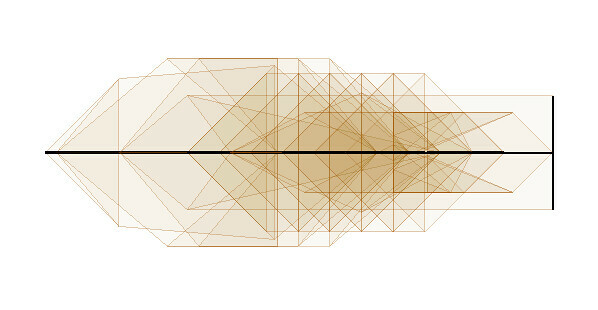 I've never tried to get something similar to the X-ray model.I'm afraid I'm doing this very wrong, no?